Redemption for Matt! Redemption for Jeurys! Hats off to Rene Rivera for taking charge behind the plate. Plawecki’s not hitting. TDA is dead. Rivera’s skills as a defenseman and game manager make him #1 in my current depth chart. We’re not hitting. Without Cespedes, we’d be under .500 but hey we got him so it’s all good. Neil Walk-Year hit a solo dinger and we won 1-0, thanks to bounce-back performances by Harvey and Familia. They’re not all the way back, but this was a promising first step. 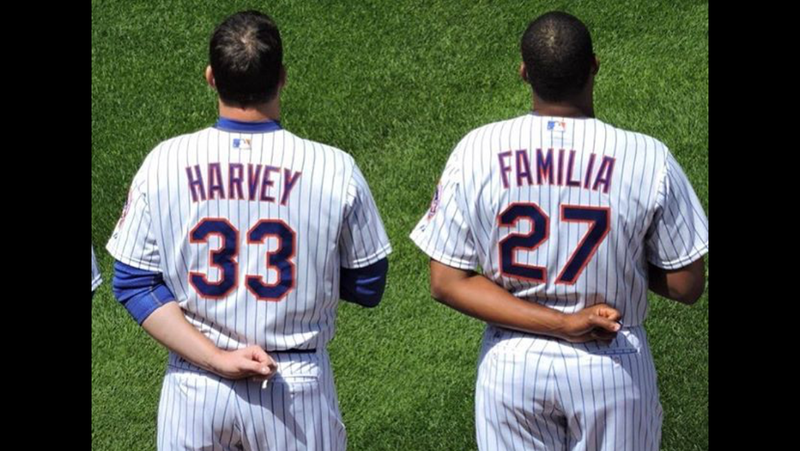 If Harvey is the Dark Knight again, and Familia is the closer we know he can be, we’re back on pace for 100 wins. It’d be nice to see more hitting–situational hitting, bunting, keeping the line moving, etc. Let’s see if Loney can provide that for us.